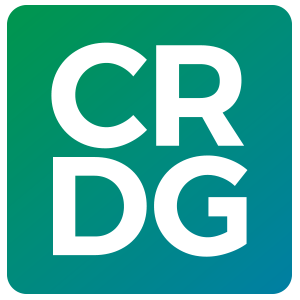 From March 2003 through February 2007, CRDG conducted a National Science Foundation project (No. REC0228158; Paul R. Brandon, Principal Investigator, Donald B. Young, co-Principal Investigator, and Alice K. Taum, Project Manager) to prepare for an eventual randomized experiment (a) by developing an alternative to a traditional two-week professional development (PD) institute that is required of all teachers who want to implement a middle-school, inquiry-based science program in their classrooms and (b) by preparing and validating the instrumentation for the randomized experiment. The project focused on the Foundational Approaches in Science Teaching (FAST) program, an award-winning, constructivist, inquiry-based, three-year middle-school science program that has been used in 36 states and 10 foreign countries. An alternative version of PD for the first year of FAST (Physical Science, Ecology, and Relational Studies), including a one-week teacher institute; a one-semester on line course; and a multimedia DVD-ROM, with text, still photos, videos of FAST teachers, and narrated animations, was developed. Four data collection instruments and procedures were developed, including (a) a classroom observation protocol for measuring the quality of teacher questioning; (b) a teacher questionnaire for collecting self-reports on implementation, program context, and teacher demographics; (c) a method for collecting observation data and judging teacher quality of implementation; and (d) a student assessment suite that includes a student attitude survey, student multiple-choice and extended-response test, and student performance assessment. Observation validation data were collected through videotaping 105 classroom periods of 19 inquiry-based teachers on four of the Hawaiian islands. Questionnaire validation data were collected on a sample of 156 inquiry-based teachers nationwide, and quality-study validation data were collected from a subset of the videotaped teachers. Assessment validation data were collected on 428 children in 10 classrooms. Evidence from validity studies supported the validity of data collected with the instruments in several ways.